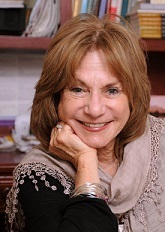 Turning 80: A Ritual of Renewal – Judith Ruskay Rabinor, Phd. My mother, Peggy, was turning eighty. To live a decade beyond the biblical life span of three score years and 10: a blessing! Physically healthy, mentally alert, adventurously purchasing her first computer (“I think it’s time I got onto the web!”) she was a model of healthy, vigorous aging. Certainly, a celebration was in order. And yet, our family was raw with sorrow, still mourning the recent death of my sister-in-law, Shira, my brother’s wife. How could we celebrate growing older while still grieving the cruel loss of youthful, fifty-two year old Shira? How could we celebrate with the presence of Shira’s illness and death looming, for it was only months from diagnosis to death and then, she was gone. How do we celebrate life in the shadow of death? And yet, how could we not celebrate? These questions plagued me as my husband, my brother and I planned the celebration, for death is a family event. Shira’s death had deeply touched many who would come to celebrate my mother’s eightieth birthday. The mourners were the centerpiece of the party. Upon reflection, I realized that this situation: celebrating life in the shadow of death is a challenge for all of us at every age, for we are all dying, bit by bit, giving up people, situations, hopes, and dreams. But especially as we grow older, each passing decade brings death and loss closer, nearer, more real. Certainly for my mother, who had buried three husbands, her parents and many friends, this was true. Many of her contemporaries were ill. And yet, although the reality that grief, loss and mourning are constant companions, especially as we age, acknowledgment of this fact is often omitted in public celebrations. What became clear was that we needed to include our loss in the celebration. For what I had learned from years of being a psychotherapist was that naming our losses is a powerful way of owning our experiences and integrating the lessons of our lives into our core. Silence is traumatizing. Naming our losses is at the heart of living, growing, and healing. With these thoughts in mind, I developed the following ritual, read by her children and grandchildren to the 35 people gathered to celebrate Peggy’s 80th. Honoring Aging The ceremony began by noting our family’s tradition of celebrating milestones in the life cycle. Although aging is often neglected or trivialized, it was our intention to honor longevity and recall Peggy’s life: what she experienced, achieved, witnessed, weathered, accomplished and lost. Blessings Candles are the symbol of the soul. We lit candles of hope, celebration and new possibility, blessing all present. Next, Shira was brought into the room with a Candle of Remembrance. Other deceased family members were named and honored with candles as well. A goblet of water, a symbol of life, was offered to Peggy as a statement of gratitude for the elements that sustain life. To create community and involve participation, I created a guided meditation. “Allow your thoughts, feelings, memories to drift back to the first time you met Peggy. If you have trouble recalling your first meeting, let your mind wander, and as you review your life and your relationship with Peggy, see if a moment of connection emerges. It might be decades ago, it might me as recent as last week. Travel back and see what images emerge as you see yourself connecting with Peggy. Allow yourself to make contact with a moment, a memory that says something important about your relationship with Peggy. Get a sense of what it means to be connected to Peggy: who she is in your life, what you felt in the memory you recalled, what you feel now, in this room, here together, with all of us. What are her particular qualities that call out to you, that touch you, that connect with parts of you that you may not have thought about as you make contact with your memories. Stay with your memories, for memories connect us to ourselves. Memories bridge past and present. Memories bind us to each other. We are our memories. Memories: the gift of connection. The most moving piece of the ceremony was the spontaneous contributions offered by friends and family. A life review was evoked by the stories and memories recalled, commemorating not only Peggy’s life, but the participants’ lives as well. Another spoke of first meeting Peggy when they were toddlers. Peggy was remembered as a business school student, a Girl Scout leader, A Garden Club President, a young mother, a bride in her late 50’s, a civil rights activist. One woman brought a 63 year old photograph of Peggy and two other guests taken in a summer camp in 1935! Old friends and relatives, many in their 80’s, spoke eloquently and from a heartfelt place that only longevity breeds. Their stories spoke of the healing power the bonds of relationship offer. Their memories and tributes were eye openers to the younger generation, my children, niece and nephew and offered a new window on the strengths, struggles resiliency and legacies of their grandmothers’ life. One of the central tasks of old age is remembering. Remembering means knitting together the pieces of one’s life. It means honoring and integrating one’s history. It means recalling the past for oneself and passing it on to the next generation. Birthdays invite us to engage in personal inventories and reflection. As we grow older, it is inevitable that joyous occasions occur amidst sickness, loss, sorrow, and grief. Naming our losses at this time allows us to authentically honor life and the life cycle. Research suggests that the deterioration and depression commonly associated with old age is not a necessary function of the aging process. Ironically, we define people who age happily and successfully as “youthful” which keeps us locked into the association of aging with deterioration and loss. Ellen McGrath coined the term “age rage” to describe the emotional response of the elderly to their psychic invisibility. According to research, one of the key factors influencing longevity as well as psychic well being is developing and maintaining bonds of intimacy. Celebrations, ceremonies and rituals such as this offer the opportunity to strengthen bonds of connection with oneself and others. Telling and listening to stories of one’s life creates energy and new life within both listener and teller. Stories are an act of creativity and imagination. As such, they affirm the identity of both listener and teller, deepen the sense of self as well as self-in-relationship, and are the rituals of renewal. Not surprisingly, my mother had prepared a few words of her own. How does it feel to be eighty? Just one day older. Suddenly everyone is helping me to cross the street, worrying about me. Telling me to sit down. Take it easy. I feel blessed to have you here today. You are all very dear to me. I love you very much. Thank you for coming. And thanks to my children and grandchildren. Thanks for making this possible. As I have always said, you are the best children and grandchildren in the world. Barukh attah adonai, eloheinu melech ha ‘olom, shehehiueunu vekiyyemanu vehiggi’annu lazeman hazeh. Blessed are You, Ruler of the Universe who has kept us in life and sustained us and enabled us to reach this time.